There is nothing funnier than sneaking up on your sibling, all charged with static electricity – and letting rip with a ZAP! Well, maybe one thing – watching on as an EG Parent while the spawnlings learn this! 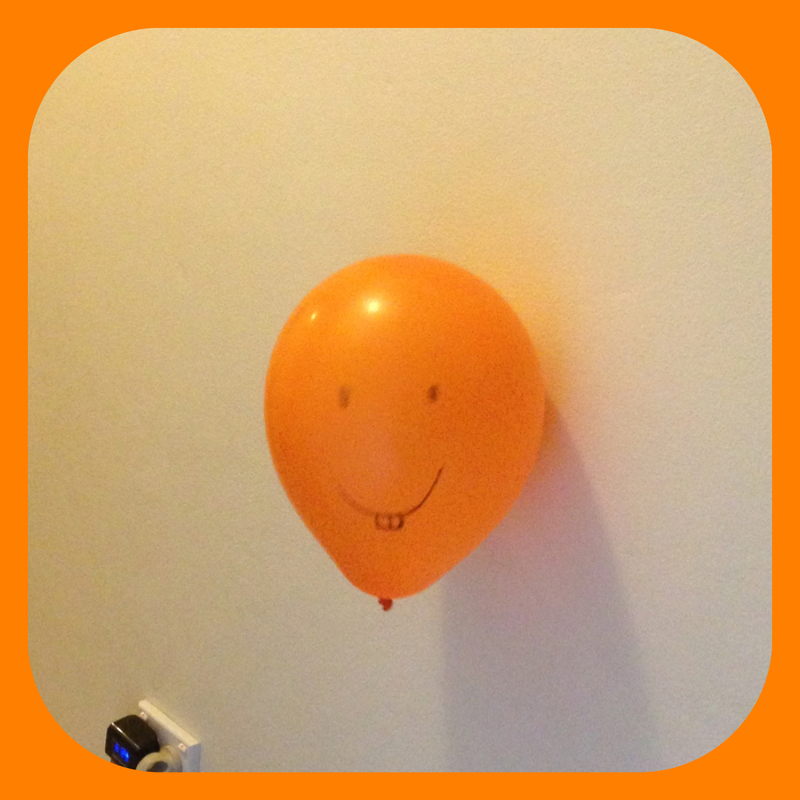 Step away from the wall – like magic, the static electricity will hold the balloon to the wall. Everything around us is made of tiny little parts called atoms. Atoms are made up of even smaller parts, which are called protons, electrons, and neutrons. The protons, electrons, and neutrons are very different. Protons have a positive charge. Electrons have a negative charge. Neutrons are pretty easy going either way with no charge. Usually, atoms have the same amount of electrons and protons. When the atom has no charge, it is ‘neutral’. This also means that negatively charged things will be attracted to positive-charged things, and vice versa. However, if you rub things together, electrons can move from one atom to another. Then some atoms get extra electrons and the other atoms might have a negative charge or no charge at all. The extra electrons will then be attracted to either neutral or positive-charged things. Like the walls or other people. 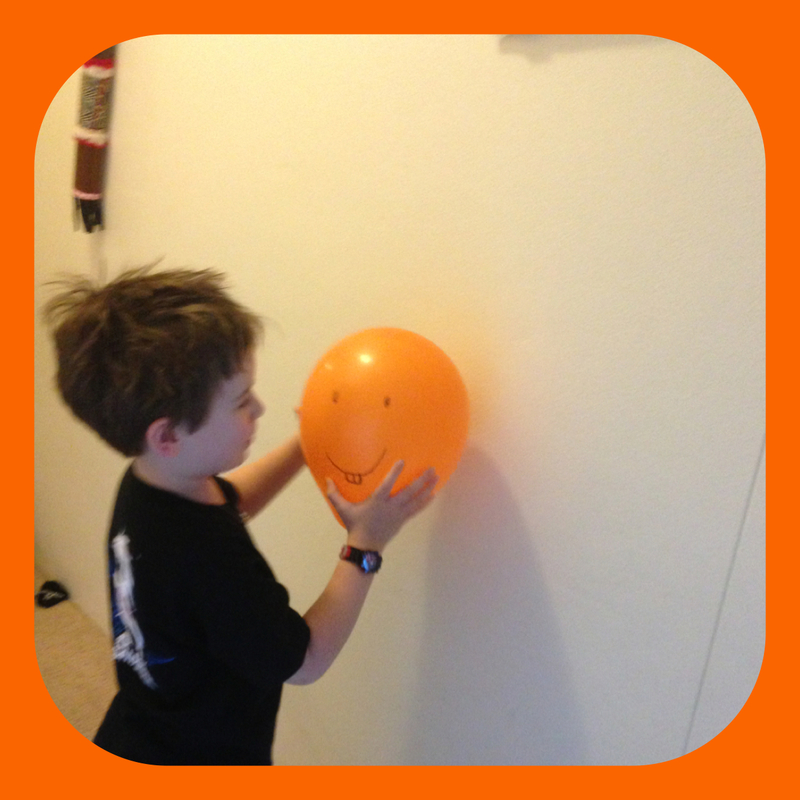 When charges are separated like this, it is called static electricity. Now, sometimes you can rub your feet on the carpet and build up some static electricity in yourself. Being dry helps out too. If you build up enough, you can then pass this static to another person – like a sibling, just as an example. You don’t HAVE to, of course. I am totally leaving this one for your own free will.